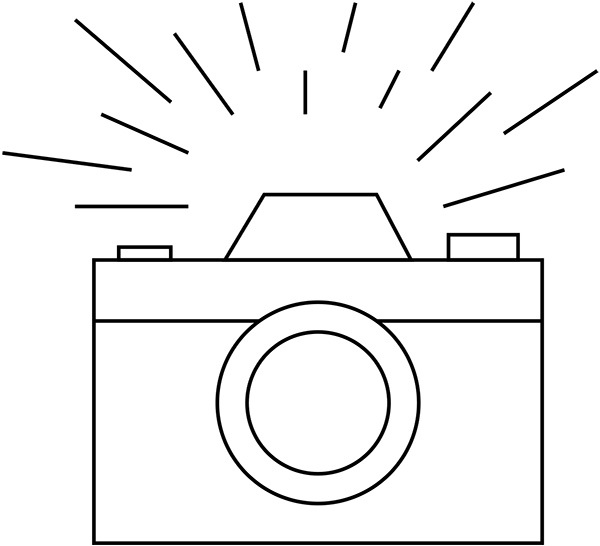 Margaret used to see one man for dinner, plead tiredness and go home, only then to go out with another young man to the Embassy Club or the Café de Paris. At closing hour she and her partner would then ‘float on’ to late nightclubs such as Kate Meyrick’s Silver Slipper. Her father’s only rule was that she absolutely must be dressed for the family breakfast at nine. No sooner had the bride procession moved up the aisle than the swing doors on either side of the main entrance were besieged by women who, using elbows and umbrellas freely, forced their way into the church, and for a moment stood swaying in a solid mass, completely cutting off the means of entry of guests who arrived late. 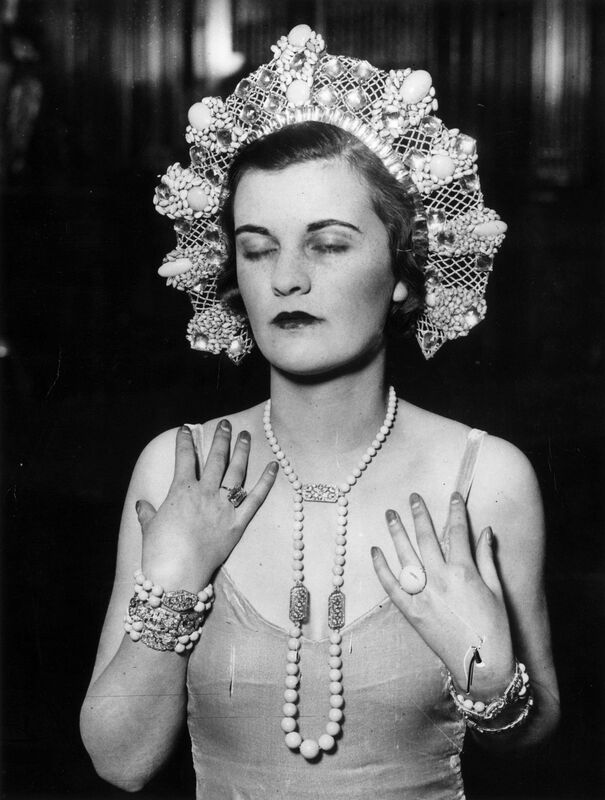 Three years previously, in 1930, at the age of seventeen and a half she became Miss Whigham became debutante of the season, and according to Bystander magazine ‘Margaret Whigham was quite the smartest jeune fille’ in London. She would write years later: ‘I wore make-up, nail polish, and was extremely well-dressed. 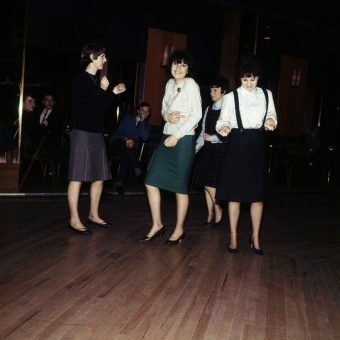 I was out every night, and nobody dressed like I did.’ Theoretically she was chaperoned, but in reality she went where she liked when she liked. The family chauffeur was always on hand to take her from party to party, and then back home again. 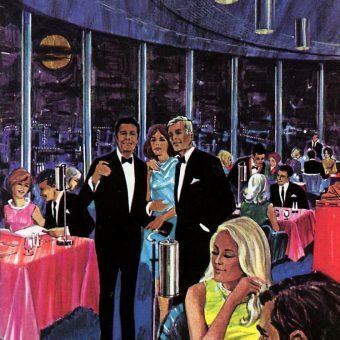 Margaret remembered that she used to see one man for dinner, plead tiredness and go home, only then to go out with another young man to the Embassy Club or the Café de Paris. At closing hour she and her partner would then ‘float on’ to late nightclubs such as Kate Meyrick’s Silver Slipper. Her father’s only rule was that she absolutely must be dressed for the family breakfast at nine. With rumours that her father employed a press agent, Margaret was never out of the newspapers and it has been said that she singlehandedly invented what came to be known as the ‘deb-ballyhoo industry’. 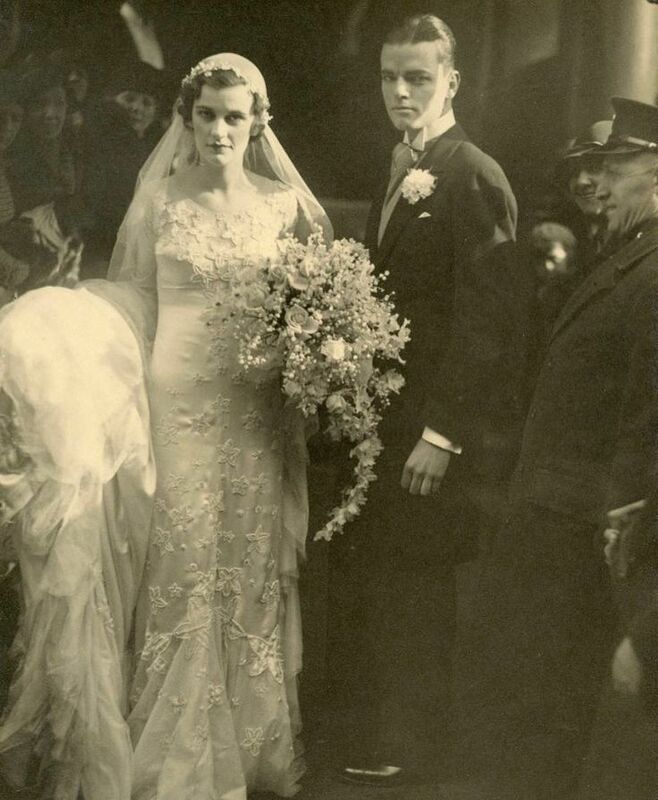 Margaret Whigham marries Charles Sweeny on February 21, 1933, in a dress by Norman Hartnell. After courting and rejecting both Prince Aly Khan and the 7th Earl of Warwick (Not long before the break-up Lady Warwick, called Margaret’s mother to say, ‘If you love your daughter, don’t let her marry my son. 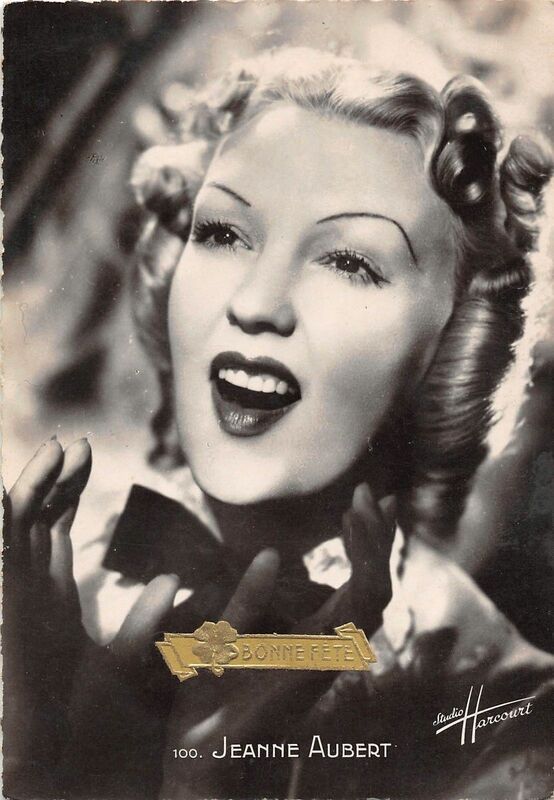 He’s a liar, he’s ill-mannered, and he picks his nose.’) Margaret married Charles Sweeny in February 1933 and was by now very famous indeed, in fact so famous she was even mentioned in a popular song of the time – a very popular song. I’m having a devil of a time with this musical comedy Guy Bolton and I are writing. I can’t get hold of Guy or the composer, so have been plugging along by myself. Still, Guy says he will be here on Saturday. What has become of the composer, heaven knows. Last heard of at Heidelberg and probably one of the unnamed three hundred shot by Hitler. You’re an O’Neill drama, You’re Whistler’s mama! You’re Mussolini, You’re Mrs Sweeny. I’m living here in the Adlon Hotel in a suite on the third floor – and a very nice one, too! They took me round and showed me Berlin. We went to the Olympic Stadium and Potsdam and back by the steamer on the Wannsee. P.G. Wodehouse has cracked his worst joke. And the laugh is against his own country. IT’S BITTER LAUGHTER … He lived luxuriously because Britain laughed with him, but … Wodehouse was not ready to share her suffering. He hadn’t the guts (or was it that he hadn’t the wish?) even to stick it out in the internment camp. Of course I ought to have had the sense to see that it was a loony thing to do to use the German radio for even the most harmless stuff, but I didn’t. I suppose prison life saps the intellect. He was shocked by the controversy he had caused, however, and never returned to England again. From 1947 until his death he lived in the US, taking dual British-American citizenship in 1955. The subtle Italian mind adores a man of action, a man of elemental force. Mussolini, ‘The Thunderer,’ whose words become deeds as they drop from his mouth, has swept most of young Italy off their feet, and for the time being holds them in the hollow of his hand. The man of elemental force arrived at Victoria station on 9 December and was met by about fifty black-shirted supporters. The Manchester Guardian, like many newspapers of the time, found the uniformed fascists faintly amusing. The correspondent thought all the energetic marching about was to do with the cold, and was worried that the thin ‘black shirt (accompanied by a black tie, some war medals, and a black cloth cap shaped like a fez with a tassel and cord) looked poor comfort for eleven o’clock on a slightly foggy December night’. He then described how the Blackshirts started singing the Italian Fascist marching song ‘Giovinezza’. This was all repeated half an hour later outside Claridge’s Hotel, where Mussolini and his entourage were staying. In fact, during his entire stay and wherever he went, organised groups of Blackshirts greeted him and sang the same fascist marching song again and again. During their stay at Claridge’s there was an unseemly row, reported in the press, when the Italian delegation accused their French counterparts of being allocated better rooms. No one quite knew what to make of the young Italian leader. In London he wore spats, a butterfly collar with a top hat and badly pressed striped trousers. 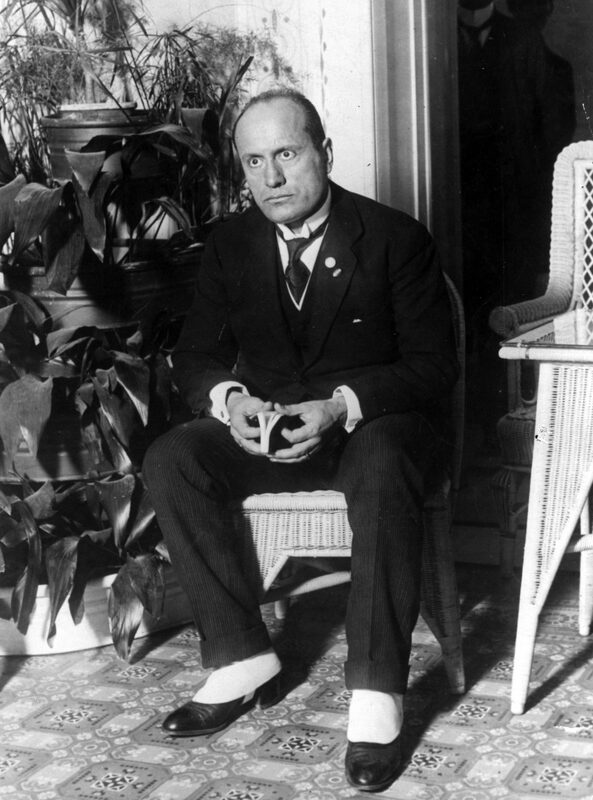 The aristocratic British Foreign Secretary, Lord Curzon, remarked: ‘He is really quite absurd.’ Most people were also surprised by Mussolini’s height (he was only 5 feet 6 inches). The next day, Mussolini and his party, all wearing Fascist party badges, were received at Buckingham Palace by the king. Later, the Italians all drove to the Cenotaph in Whitehall, where Signor Mussolini laid a wreath of remembrance at the foot of the monument. Finally, they visited the Italian Fascist HQ at 25 Noel Street. At one point during the trip Mussolini missed a press conference because he was sleeping with a prostitute back at the hotel. During his stay he complained incessantly about the fog, which he insisted penetrated his clothes, his bedroom and even his suitcases. When he returned to Italy he swore that he would never return to England, and he never did. Many of his reforms attract me. He seems to have done much for the peasant class. I admit an iron hand is there. But as violence is the basis of Western society, Mussolini’s reforms deserve an impartial study … My own fundamental objection is that these reforms are compulsory. But it is the same in all democratic institutions. 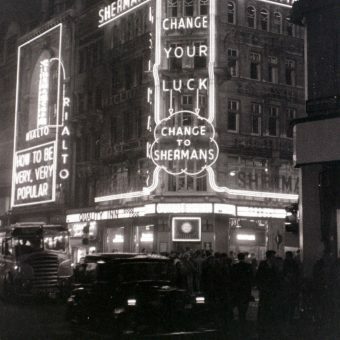 The London production of Anything Goes that featured the song ‘You’re the Top’. 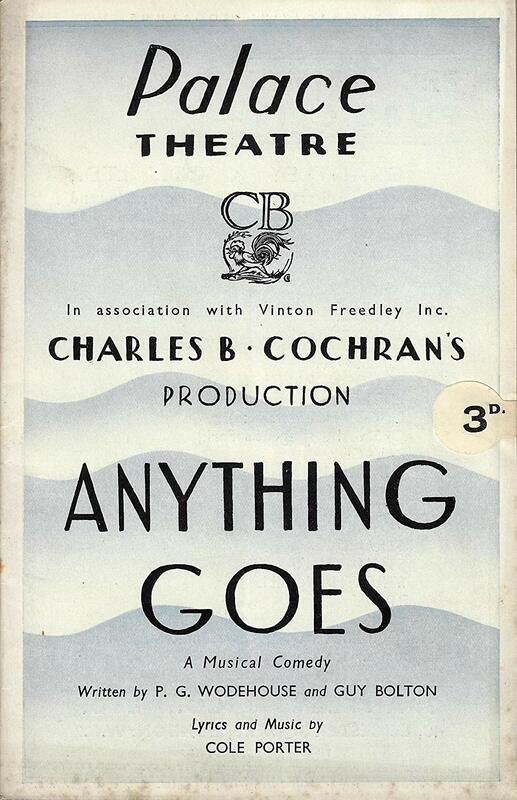 The London transfer of Porter’s musical Anything Goes opened on 14 June 1935 to generally very favourable reviews, although one pointed out that due to Jeanne Aubert’s French accent it was difficult to hear the words she was singing – Mrs Sweeny/Mussolini or otherwise. However, if the audiences didn’t raise a collective eyebrow to the Mussolini reference initially, some must have done four months after the premiere when the fascist dictator, keen to create an Italian version of the British Empire, invaded Ethiopia, then known as Abyssinia. The invasion is often seen as one of the episodes that paved the way for the Second World War, and demonstrated the ineffectiveness and weakness of the League of Nations, of which Italy and Ethiopia were both members. 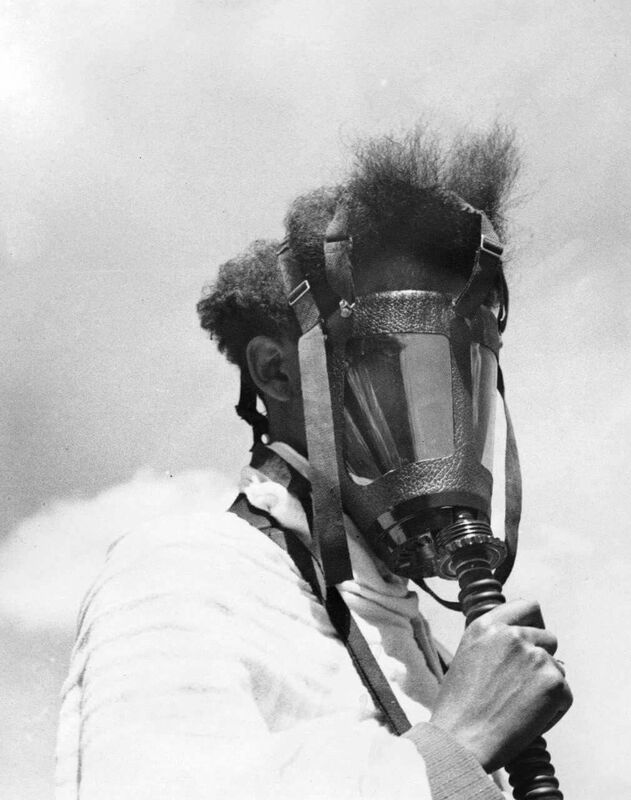 During the Ethiopian conflict, the Italians made substantial illegal use of mustard gas, sprayed directly from above like an ‘insecticide’, including on civilians and Red Cross camps and ambulances. 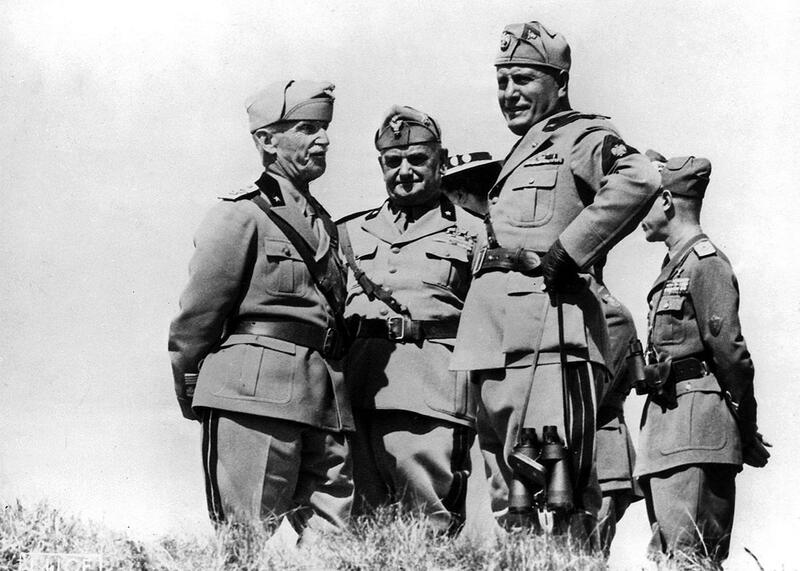 It was Mussolini himself who authorised the use of the gas. 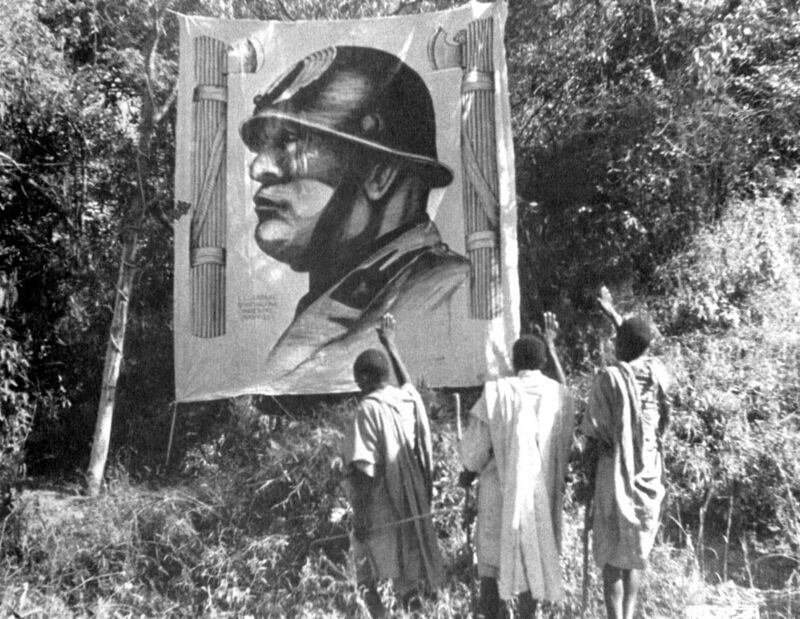 Ethiopians saluting the ‘Great White Father’ Mussolini. The Italians also instituted forced labour camps, installed public gallows, killed hostages, and mutilated the corpses of their enemies. Captured guerrillas were even killed by being thrown out of planes mid-flight. Italian troops had themselves photographed next to dead Ethiopian soldiers hanging from the gallows or chests full of detached heads. Even during the Abyssinian conflict, however, the Lord Chamberlain’s Office, the censors of the London stage, didn’t look kindly on any political satire about European leaders, even fascist dictators. 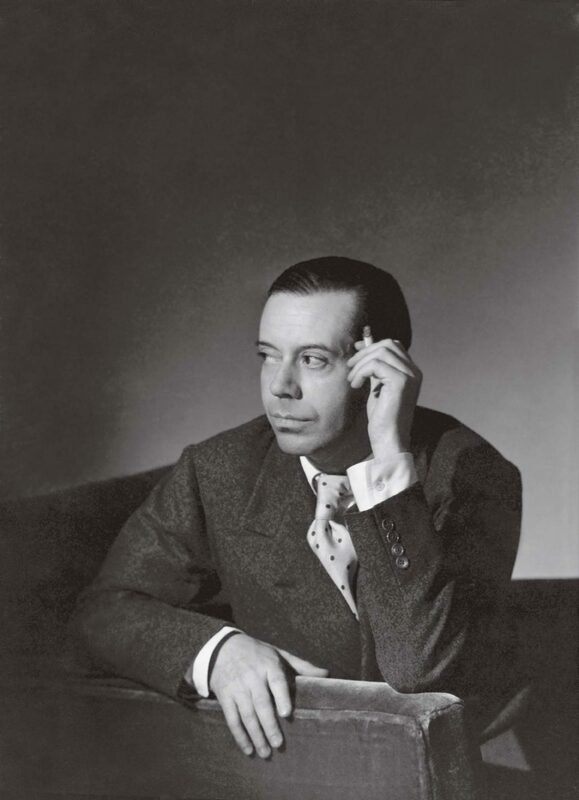 They judged Eric Barker’s burlesque of the League of Nations (‘Intrigue of Nations’) at the Windmill Theatre as ‘needlessly barging in on a delicate situation’, while the Earl of Cromer, the Lord Chamberlain, worried that the character of ‘Signor Whale-Blubber’, a clear reference to Mussolini, might offend ‘sensitive foreigners’. Even as late as 1939, the theatre censors, anxious not to embarrass a government committed to détente with Germany, were deleting negative depictions of Hitler and Mussolini, and even words such as ‘Nordic’ and ‘Concentration Camp’. 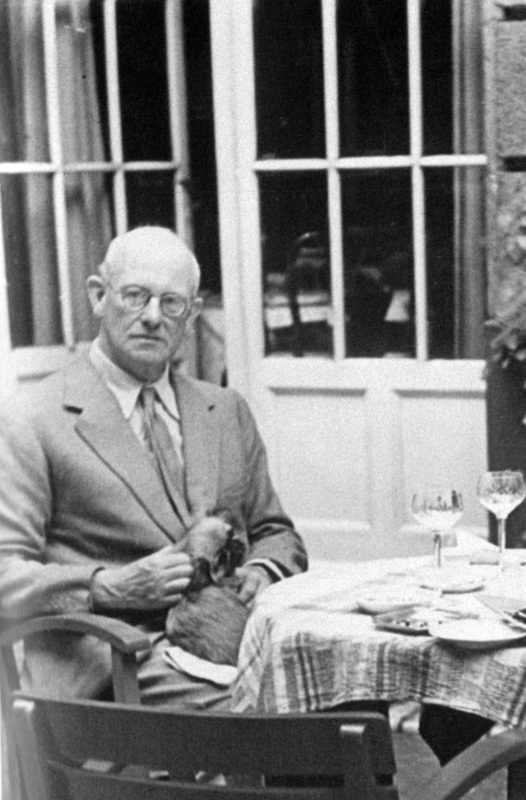 The year after the London opening of Anything Goes in June 1936, Wodehouse received the Mark Twain Medal in recognition of his‘outstanding and lasting contribution to the business of the world’. In a letter to William Townend, he enclosed a list of former winners of the medal saying ‘[this] will give you a laugh’. The first on the list and first recipient of the medal was none other than Benito Mussolini. His medal bore the inscription ‘Mussolini, Great Educator’. 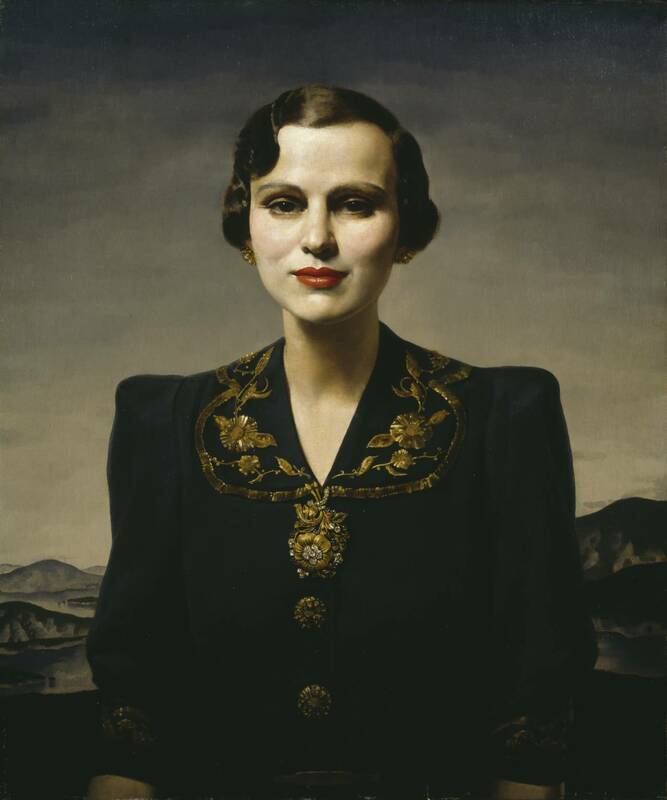 After infidelities on both sides, Mr and Mrs Sweeny divorced in 1947 on the grounds of ‘constructive desertion’, and two years later, on the luxurious Golden Arrow boat train returning from Paris, Margaret met Ian Douglas Campbell, the Duke of Argyll.